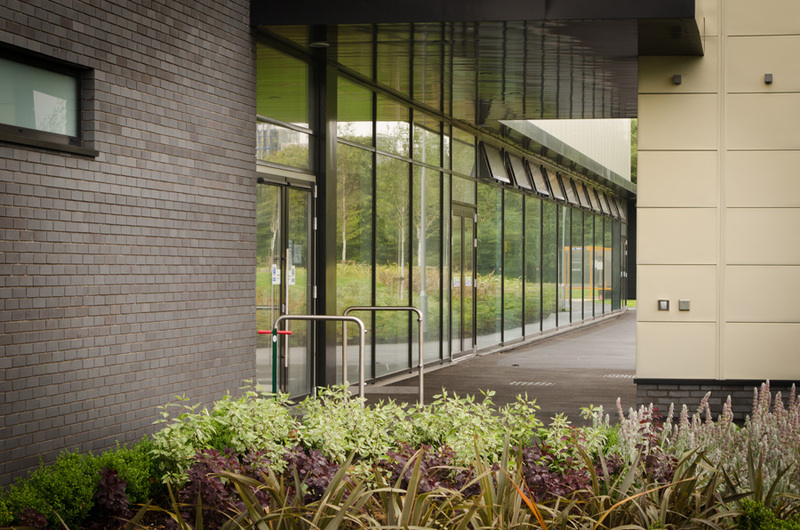 IAT installed all external Curtain Walling, Windows, Doors and Brise Soleil Solar Shading. Due to the requirements for the glazing to the Multi-purpose Hall, a crane and a vacuum lift had to be sought to install the massive 800kg glazed units. 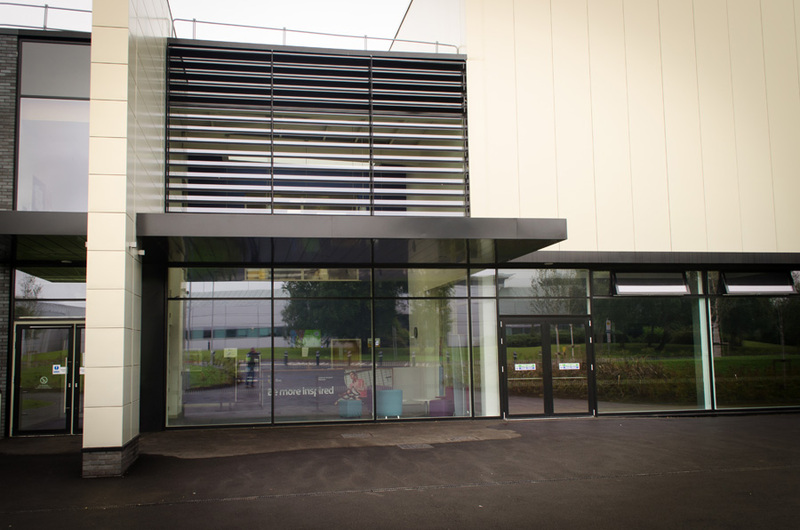 The horizontal Brise Soleil installed provides permanent sun shading to prevent the façade overheating during the summer.